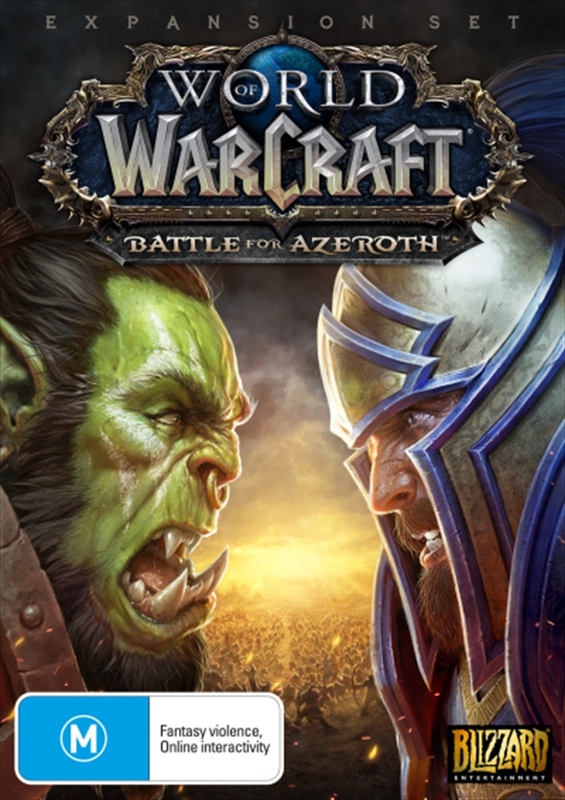 Experience the relentless conflict at the heart of the Warcraft saga. Quest to level 120, play through six new zones filled with new World Quests, new World Bosses, new raids and more. You determine whether the Horde or Alliance will shape Azeroth's future. Set sail for the previously unmapped isles of Azeroth. Battle in groups of three as you race against cunning rival intruders-or enemy players-to collect the island's resources. Constantly evolving challenges await as you traverse frozen landscapes near Northrend, open the mysterious gates of an abandoned Gilnean castle, navigate a war between elementals and more. Head to the frontlines and take part in a large-scale 20-player cooperative Warfront to claim a key strategic location. Build up your faction's forces, lead the charge as your troops lay siege to the objective, and battle fight the against enemy commanders as they make their last stand in this new PvE mode inspired by classic Warcraft RTS battles. Take control of the Heart of Azeroth-a legendary neck piece entrusted to you by Magni Bronzebeard. Imbue it with Azerite, an invaluable resource that's emerged in the Legion's wake, to customize your armor with new powers and traits. Azeroth paid a terrible price to end the apocalyptic march of the Legion's crusade-but even as the world's wounds are tended, it is the shattered trust between the Alliance and Horde that may prove hardest to mend. As this age-old conflict reignites, gather your allies and champion your faction's cause-for Azeroth's future will be forged in the fires of war.